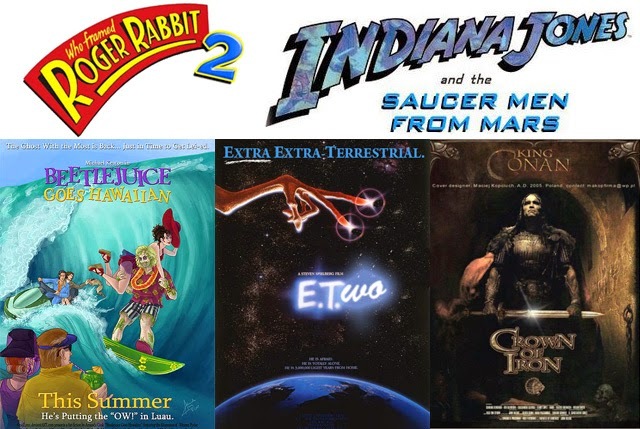 10 Proposed Sequels That Were Never Made | Warped Factor - Words in the Key of Geek. Nowadays it seems that every hit movie has to have a sequel, but not all of them make it before the cameras. Hollywood is full of failed movie pitches, and films which at one time or another have been green-lit and reached various stages of production. So Geek Dave looks back at 10 proposed movie installments which never made it to your local multiplex. The sequel to Steven Spielberg's 1977 classic went into pre-production in 1980. 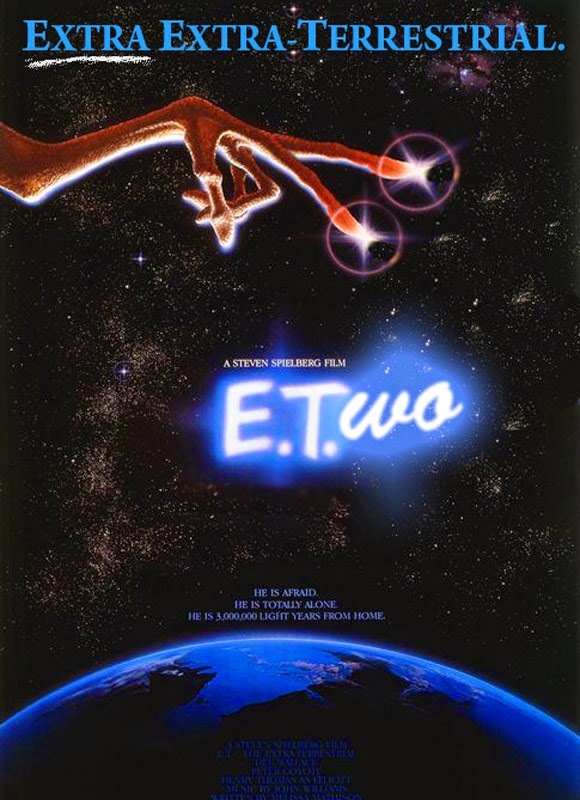 Not because Spielberg was keen to do so, but because Columbia pictures wanted a sequel and said they'd make one with or without Spielberg's involvement. So Spielberg set about developing a much darker alien horror tale entitled "Watch The Skies", but soon retitled just Night Skies, and he employed a Rick Baker to design his aliens. The story would have focused on a farming family who are terrorised by UFOs, and multiple cattle mutilations. Until one night when one of the aliens is left behind and becomes friends with the farmer's young son. A treatment was put together for a sequel to E.T. which told a kind of alien revenge tale. Basically a group of E.T. like aliens return to Earth and kidnap Elliott and his friends with the intent to experiment on them to find out more about the species - presumably the little E.T. from the first film had told how he was treated by the authorities and his 'cousins' set out to do something about it, but just end up taking the wrong people. The story would see E.T. find a way to save his friend Elliott, and get him and the other kids back to Earth safely. Despite interest from the studio it never made it past the treatment stage. File this under wasted opportunity! Alien 3 and 4 were not the best, sure Sigourney Weaver was involved but the franchise needed a Ridley Scott or a James Cameron to really help it deliver a killer installment. So how about both of them? Yes, thanks to Sigourney Weaver herself, who started talking with both Cameron and Scott about doing a fifth Alien movie together, they were both down with the idea. Scott producing, Cameron directing, Weaver starring, surely a no-brainer for Fox to green light, right? Wrong. Fox were already in talks to make another Alien movie, and decided to go with the cheaper option, so we got Alien Vs. Predator instead. Terry Gilliam has long attempted to make a sequel to his classic film about time-traveling little people who stole a map from God. The first proper development on the project happened after Gilliam's huge success with Twelve Monkeys, he pitched a couple of different scripts but no movie studio wanted to make it. 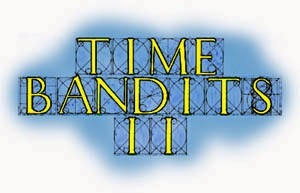 Then in 2002 Hallmark Entertainment announced they would be filming two Time Bandits sequels and airing them as made for TV movies on the ABC network in America. Filming was set to start in August of that year, with Gilliam involved as creative director. Never happened! But Gilliam did not give up, and planned to produce Time Bandits II as a graphic novel. Virgin Comics snapped up the rights....and then went out of business. It seems this sequel is cursed. It looks like the long mooted Beetlejuice sequel will actually happen - Michael Keaton is in, Tim Burton is in, Winona Ryder has been shopping - but it just won't be this proposed sequel. Back in 1989, Tim Burton was asked to make a second Beetlejuice movie straight off the back of his huge success with Batman. 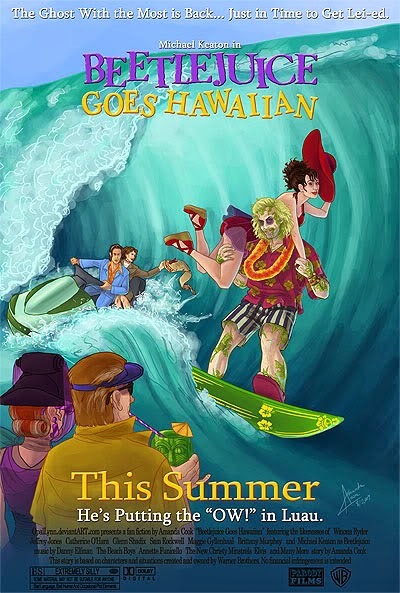 At the time the planned story would have reunited almost all the cast from the first film, but the Deetz family have now moved to Hawaii. Naturally Beetlejuice followed them and got in to some scrapes with the ancient Tiki gods. Before we got 2008's Indiana Jones and the Kingdom of the Crystal Skull, there were several false starts for the planned fourth Indy movie in the franchise, and most of them involved aliens. 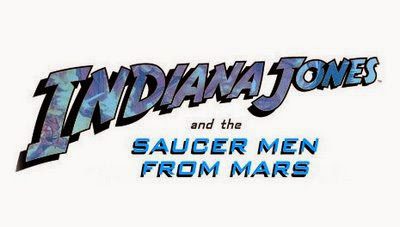 Indiana Jones vs. the Saucer Men From Mars was a 1950s pastiche script treatment, in which the aliens all speak Sanskrit, and they have an 'ultimate weapon' which the Russians want to get their hands on. There's been talk that Arnold Schwarzenegger might return to the role of Conan once again, but before his extended hiatus from movie making whilst he was governing California plans were afoot to revisit the series with its original star. 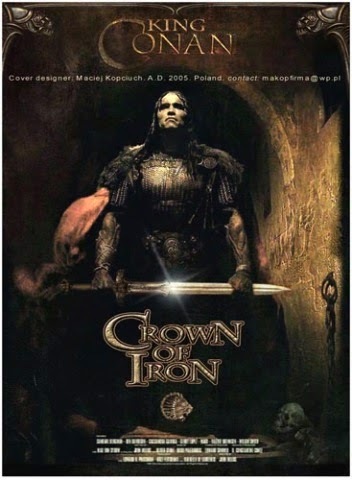 Back in 2001, the Wachowskis were on board for King Conan: Crown of Iron. The movie went through several stages of development, and would've been set 20 years after Conan The Destroyer. We'd meet an older Conan and his son, Kon. 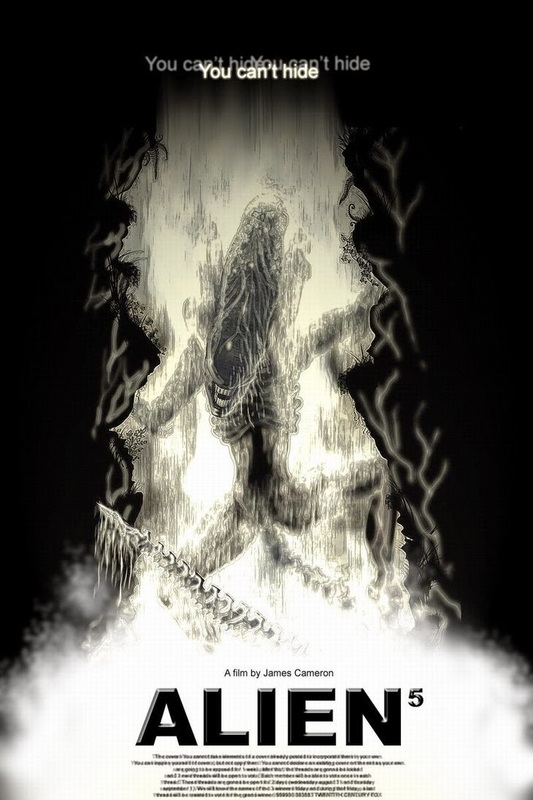 Except that Kon turns out to be not be his son, but rather of the Ice Worm. Arnie's California dreaming laid this project to rest. 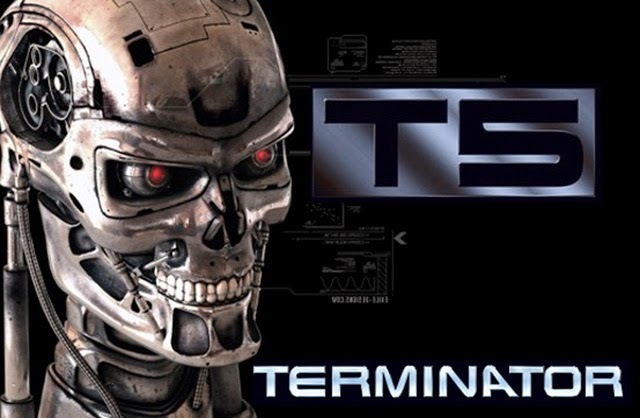 Terminator: Genisys arrived earlier this year, however several years before that movie went in to development and entirely different fifth Terminator movie was planned. Terminator: Salvation was not the hit McG had hoped it would be. The director had a trilogy of movies planned, and if the second installment had gone ahead we would've seen how Skynet figured out how to send Hunter-Killers and other huge hardware back in time. The planned sequel was also set to feature a cameo by Robert Patrick as a future scientist. This is another sequel that has been spoken about since the first movie hit the cinema, and it's also one which Robert Zemeckis seems very interested in making - as long as he can get the right idea for it! At one point Roger Rabbit 2 would've been a World War II prequel called The Toon Platoon, and featuring Toons vs Nazis! This was before computer animation and so the movie proved to be just too expensive to produce. A more recent proposed treatment utilised the same motion-capture technique form Zemeckis' The Polar Express and Beowulf films for all the human characters. 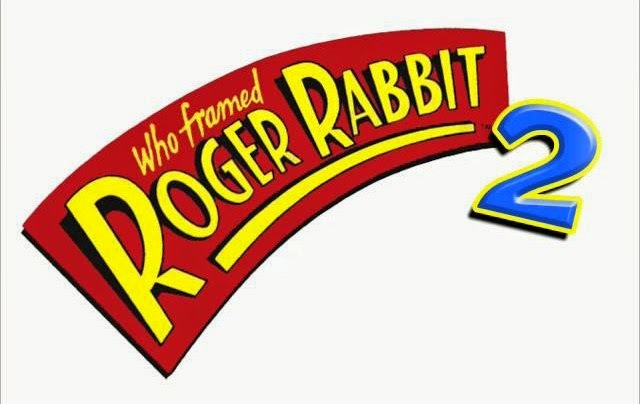 Producer Frank Marshall has stated that although Roger Rabbit 2 did come very close to going into production, it's not something he sees happening anytime soon. I've saved possibly the most surprising idea for a sequel to last. 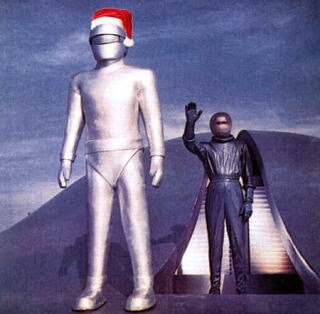 In 1981 Fox tasked Ray Bradbury to write a Christmas-themed sequel to the original The Day the Earth Stood Still. Set 30 years later and featuring Klaatu's daughter Klaata. I kid you not. Klaata comes to Earth and tells us that we're on the right track and making progress towards salvation. But, she also carries a list of problems Earth needs to rectify before her species return in 20 years time. The 'list' was carried in a small cube, which would've been revealed as Gort's heart. I kid you not. Unsurprisingly Fox decided not to proceed with the idea.